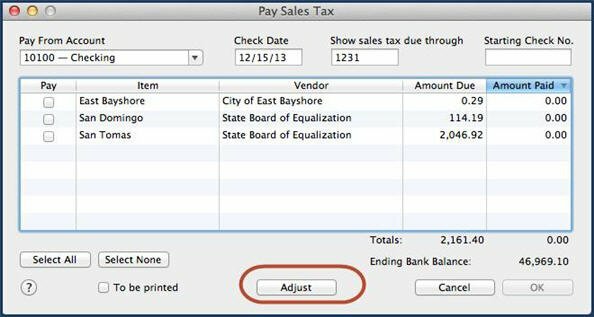 This article is written in support of the course titled "What's New in QuickBooks for Mac" at the Intuit 2014 Accounting Professionals Virtual Conference. 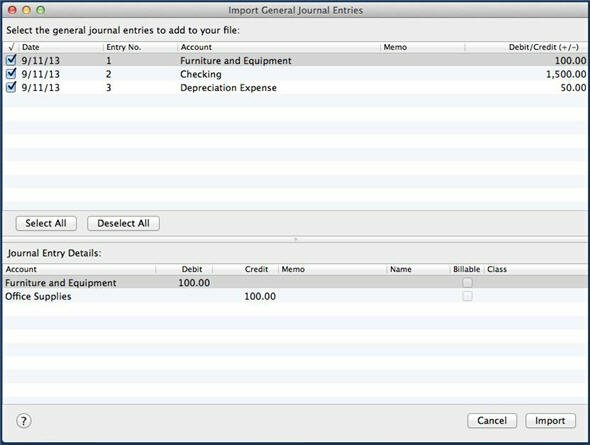 What this feature does: Accountants can create journal entries outside of the QuickBooks for Mac file and send the journal entries to the QuickBooks for Mac user to import. How does this improve your clients’ efficiency? Business owners no longer have the difficult task of entering their accountant’s year-end/tax period adjusting journal entries. What pain does this feature solve? 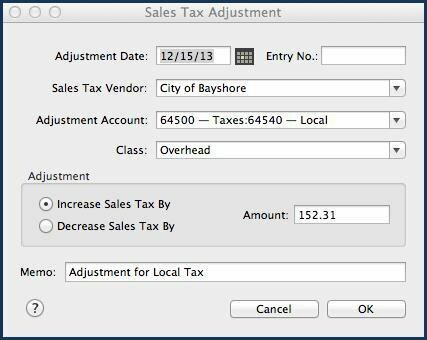 When a business owner wanted to keep their data file in agreement with the accountant’s filed financials they had to manually enter the accountant’s year-end adjustments. What this feature does: Shows a summary of unbilled, unpaid and recently paid customer transactions all on one screen, and allows users to take immediate action and create new transactions for customers in order to get paid timely. All data in the tracker is real time so the information is right at your fingertips. It is not necessary to prepare reports to see what actions need to be taken. How does this improve your clients’ efficiency? From one window users can improve the company’s cash flow by taking immediate action to create, print, or e-mail customer transactions. What pain does this feature solve? 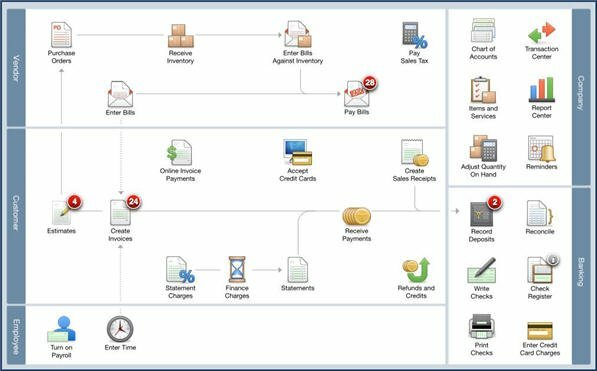 Previous workflow required users to preview multiple reports about the customer’s open transactions. After viewing the reports, users would need to access different menu options to complete common customer transaction activities. What this feature does: Ability to assign a Sales Rep to Customers and Jobs. Both vendors and employees can be designated as Sales Reps.
How does this improve your clients’ efficiency? Business owners can track profitability by Sales Rep.
What pain does this feature solve? Previously users were not able to have a list of Sales Reps.
What this feature does: Perform a search for any amount, account, reference number, or other fields in reports. How does this improve your clients’ efficiency? Business owners can search reports for specific details. What pain does this feature solve? Previously users had to scroll through reports to search fields. 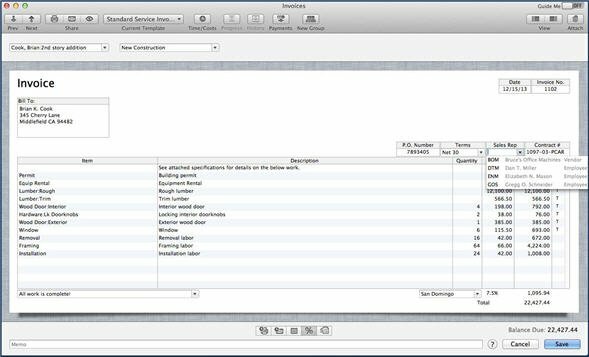 What this feature does: Provides directions for setting up a new QuickBooks for Mac file and training on how to use specific product features, and provides in-product video on details about other “cool stuff” like reporting and customization. How does this improve your clients’ efficiency? 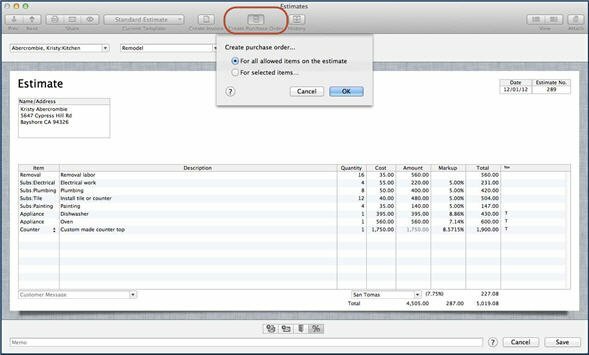 For the user, takes out the guesswork of setting a new QuickBooks for MAC file. What pain does this feature solve? New users had to try to figure out of their own what steps were needed to setup a new file. What this feature does: Ability to adjust sales tax for discounts or added charges. What pain does this feature solve? Replaces a cumbersome, three step process in previous editions of QuickBooks for MAC. What pain does this feature solve? Previous versions required the user to manually create purchase orders to track expected costs. What this feature does: The Home Page can be resized to cover the entire workspace, and offers more of a central control panel environment, providing shortcuts to the redesigned company Snapshot and the new Income Tracker. The optional Toolbar can be placed on either the left or right of the screen and can also be viewed expanded or collapsed. How does this improve your clients’ efficiency? 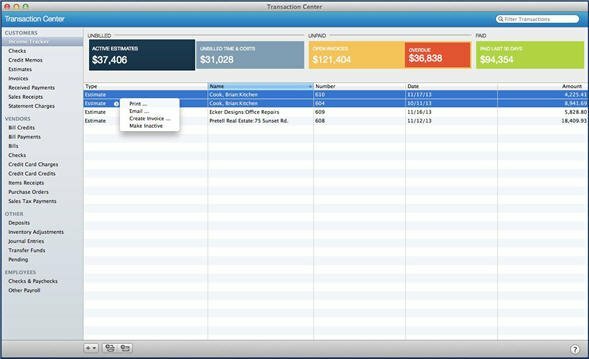 More efficiently use monitor workspace when working with transactions. For accountants that work in different files, the Toolbar can be custom colored. New customizable size of the Home Page assures users that they the active application is QuickBooks. What pain does this feature solve? The top placed Toolbar would monopolize the monitor space and move lower buttons outside of the workspace on some transaction screens. 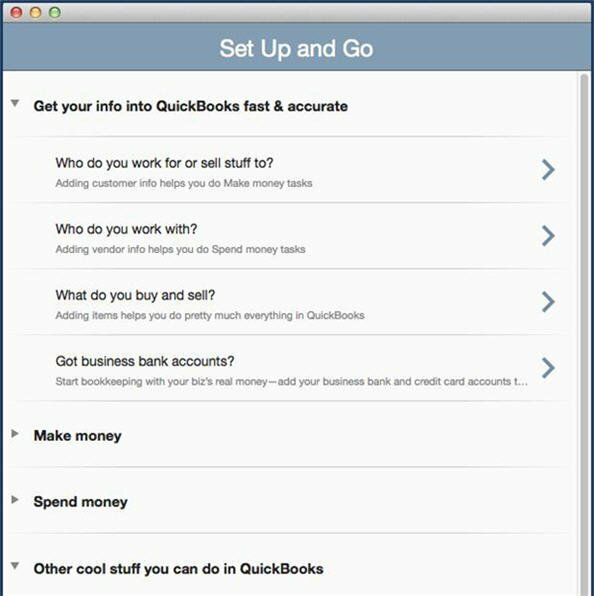 When QuickBooks did not fill the entire workspace, users would click on a background program and lose focus on QuickBooks. Acknowledgement: The Publisher gratefully acknowledges the use of this material from Intuit's What's New in QuickBooks 2014 by this article's author; which publication was written for Intuit's 2014 Accounting Professional's Virtual Conference. This article was written and published for the express purpose of promotion, and in support, of Intuit's 2014 Accounting Professional's Virtual Conference.